In current video Professor Kadri Karp, expert of LIFE AgriAdapt project from the Chair of Horticulture of the Estonian University of Life Sciences gives an overview about problems of grape growers from the Nordic countries. 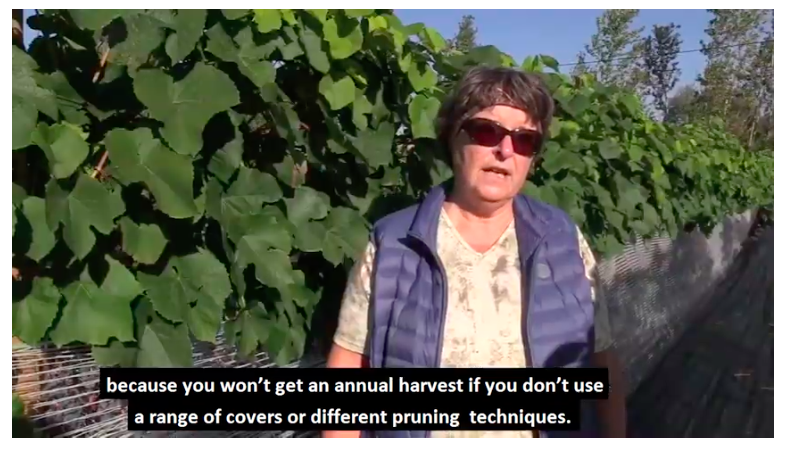 She explains how climate conditions in Estonia affect the growth and development of grapes, and which agrotechnical approaches can be used to mitigate the risks of early and late frosts to grape growing. The video is in Estonian language with English subtitles.